Welcome to Le Cirque des Rêves, where magic hides in plain sight. This marvelous debut novel scoops the reader into the lives of two young magicians, Celia and Marco. The circus is a venue for a magic competition devised by their teachers. And this is one of those contests where the winner is the last one standing. The book’s structure is, like a circus, a labyrinth of timelines that all lead to the critical moment of the story. 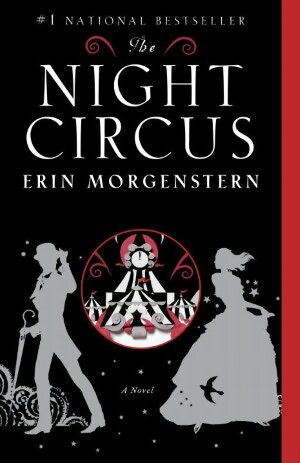 Morgenstern’s creativity and deft handling of literary devices is an exquisite recipe for the reader’s delectation – a cup of Balzac, a tablespoon of Gaiman, a teaspoon each of Cagliostro and Houdini, with a soupcon of “Sweet Genius” and a spritz of fine perfume from Houbigant. It reads American but feels European. The drama begins in the 1870’s and continues through the early 1900s. Morgenstern’s characters blossom and then writhe under the tension of the contest. The circus appears, grows, delights and takes its toll as it appears, without notice, in cities all over the world. The book’s fine crafting is apparent in the careful pacing and the intricate, alluring way the storylines are braided together. Destined to become a cult classic – for anyone who enjoys fine storytelling and magical realism, this is a must-read book!